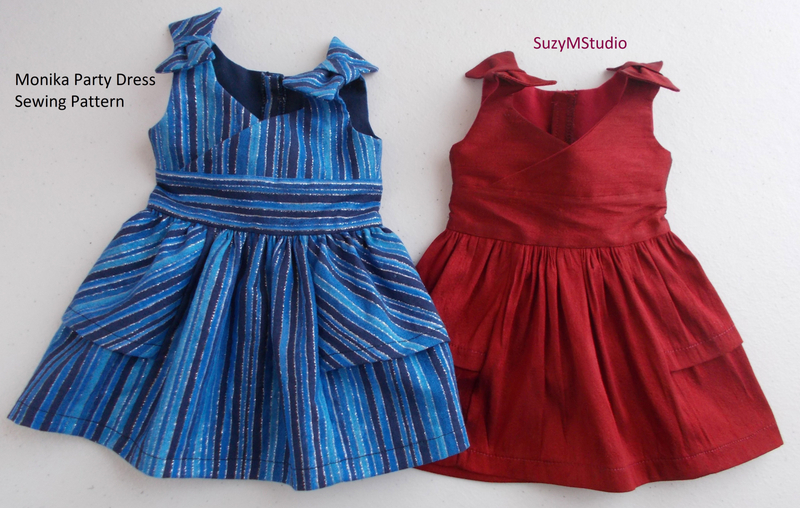 Another SuzyMStudio original design. 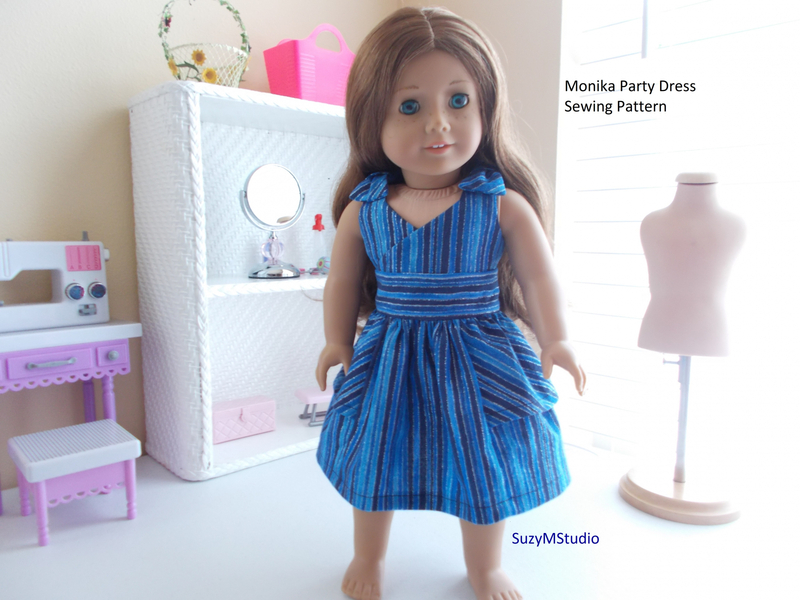 Monika Party Dress is a sweet and classic design for any party season. Medium level and hand sewing is needed. 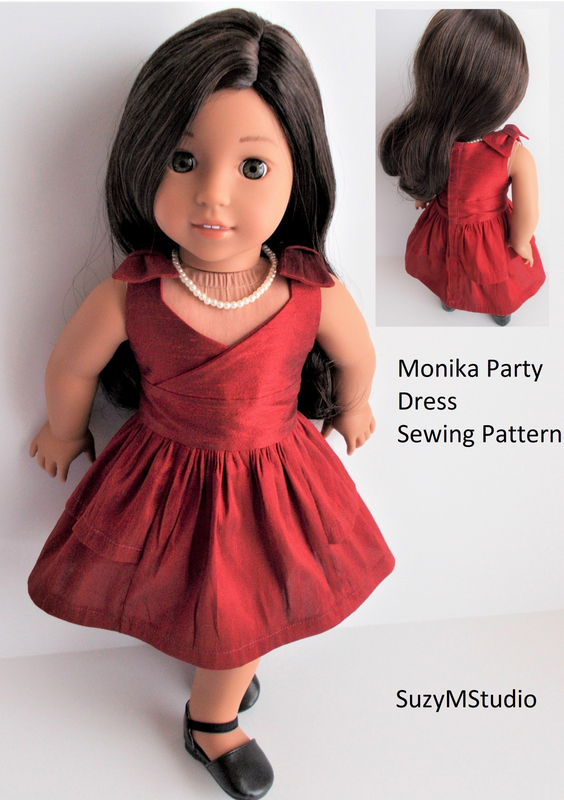 Made to fit 18 inch dolls and suitable for cotton fabric. Sharing, selling this document or mass production of clothing made using this pattern are not allowed. 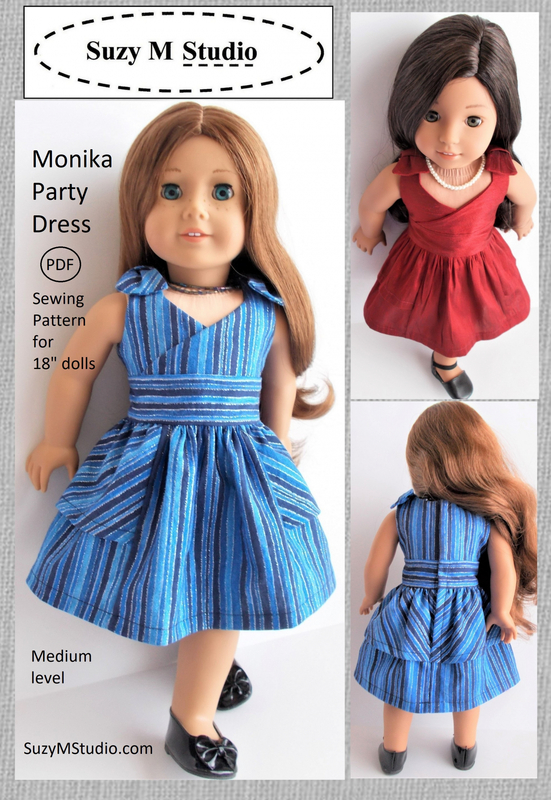 All patterns are delivered via PDF file, you will receive an e-mail with a link and a password to download the pattern after you complete the purchase. Save it in your computer as soon as you can. Payment is made through paypal.